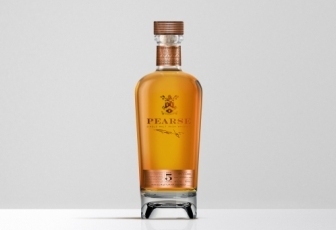 The Pearse Lyons Distillery is celebrating the general release of the exclusive Pearse 5-Year-Old Single Malt Irish Whiskey. The single malt carries the first new five-year age statement to appear on an Irish whiskey in more than 25 years. The limited release whiskey was produced on two small-batch copper pot stills, and aged in bourbon casks. Presented in 4,000 individually numbered bottles, the product will exclusively be on sale in SuperValu’s Premium Irish Whiskey section and select on-trade establishments nationwide. The development of this new Irish whiskey stream began in 2011 when the late Dr Pearse Lyons, who was keen to revisit his roots in Irish brewing and distilling, transported two small-batch copper pot stills from Kentucky to Ireland. The distinctive pot stills began making spirit in Ireland in 2012 and when the Pearse Lyons Distillery opened in 2017 in the heart of Dublin’s Whiskey District, they took pride of place, nestled in the sanctuary of the refurbished St James Church. The unusual design of the small-batch copper stills includes a ‘neck and ball’ configuration which assists in refining the spirit character in the first step of distillation. The spirit still contains four rectification plates that further purify and refine the spirit collected, harnessing the fullness, complexity and refinement of flavour of a double-distilled Irish whiskey. The recommended retail price for the product is €79.99. For further information visit www.pearselyonsdistillery.com or join the conversation on @PearseLyonsDistillery and @PearseWhiskey. 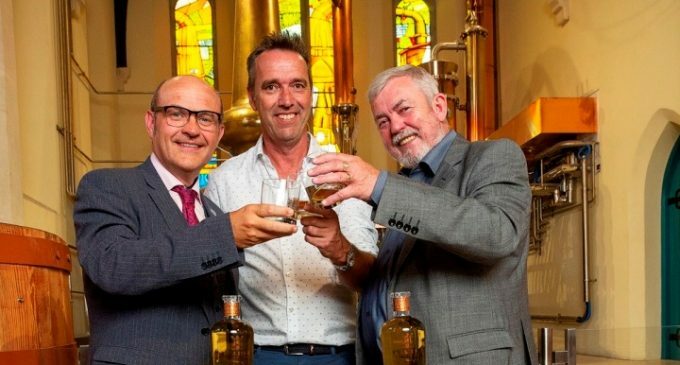 Gearoid Cahill, Head Distiller, Pearse Lyons Distillery; Kevin Dundon, SuperValu Brand Ambassador; and John Cooney, Spirits Trading manager SuperValu, at the launch of the exclusive Pearse 5-Year-Old Single Malt Irish Whiskey at the Pearse Lyons Distillery, Dublin.